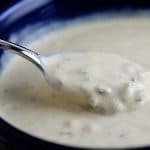 Honey Mustard Dressing is one of my family’s favorite dressings to use with chicken fingers, on a simple salad, or even on sandwiches from time to time. One of the best things about making my own Honey Mustard Dressing is that I know exactly what all goes into the jar as I’m mixing it up. I take a Mason jar, add all of my ingredients, screw on the lid and give it a good shake. 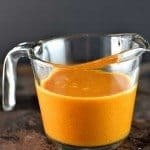 In just a few minutes, I have an absolutely scrumptious Honey Mustard Dressing perfect for keeping on hand for serving with so many dishes. 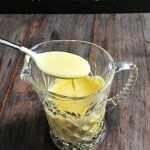 My Honey Mustard Dressing recipe includes just a few ingredients that you won’t find in the classic Honey Mustard Dressing recipes. It adds just an extra little something-something to it. First, I add a little bit of cumin to add a bit of a smokey depth to the dressing. 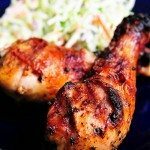 I also add a bit of cayenne pepper to add just a hint of a kick when you eat it. Of course, if you have issues with cayenne pepper, you can reduce the amount in the recipe or simply omit it. However, if you don’t, I can’t recommend it enough! 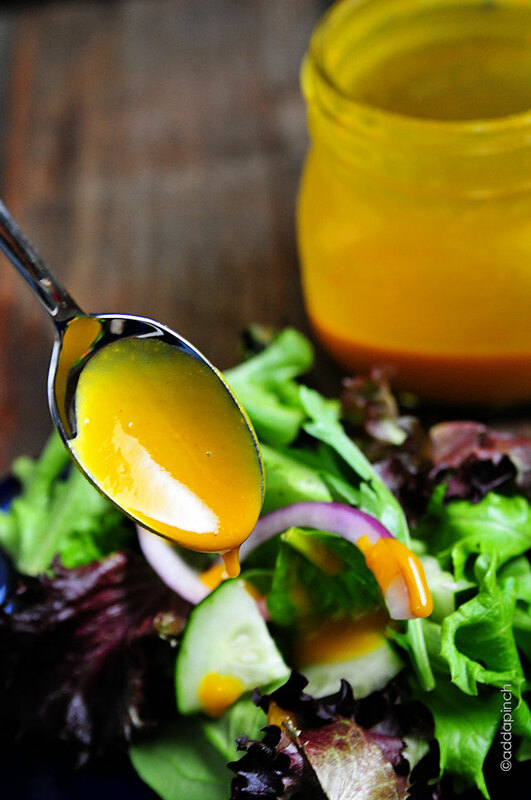 Here’s my Honey Mustard Dressing Recipe that I think you’ll love. Honey Mustard Dressing is a classic, family favorite dressing and dip. 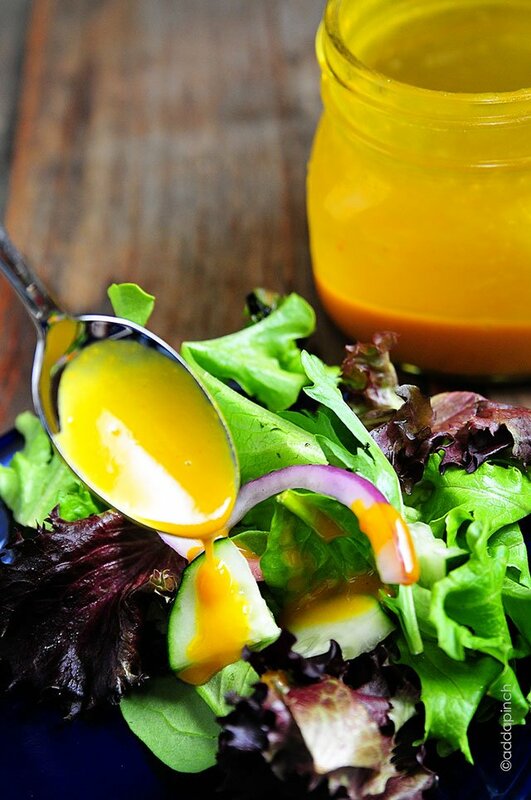 Get this delicious twist on the classic honey mustard dressing that you are sure to love. Add all ingredients to Mason jar, fit with tight top and shake until well combined. Alternately, you may add all ingredients to a bowl and whisk until smooth. Serve as a dressing or dip. Refrigerate unused dressing. You may utilize non-fat Greek yogurt in place of mayonnaise if you prefer. Like the idea of cumin and cayenne….not generally a honey mustard fan (too sweet) but this could work! thanks for sharing! 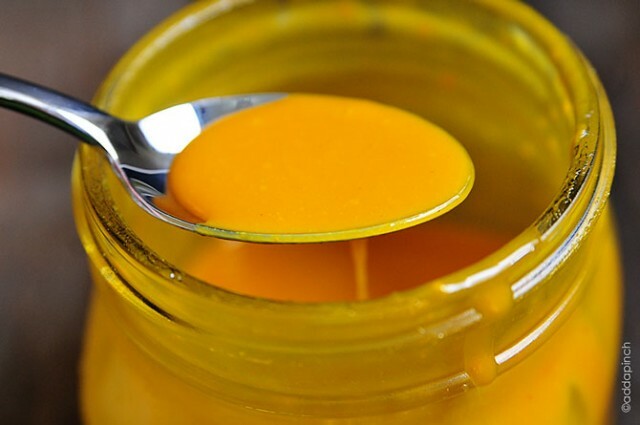 It definitely adds a whole new dimension to the honey mustard. We love it! I was just wondering do you prefer yellow mustard or the Dijon? Hi Stephanie, I really go back and forth on this one! My husband prefers Dijon and my son yellow, so we really have just as much of one as we do the other. 🙂 Sorry I wasn’t any more help than that! I prefer homemade dressings so much over store-bought. This looks amazing, Robyn! 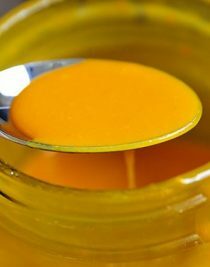 Love the brightness from the lemon juice!! Homemade dressings are so easy and affordable! Thanks, Liz. We sure love them, too! Which is your preference, yellow mustard or Dijon? I have both, and plan to try this tonight. I make all my salad dressings but am in a rut making the same few over and over. Thanks! We really like both. My son prefers yellow and husband Dijon, so I make them both as much as the other, I think! I made it tonight with dijon, it was great! I love the kick from the cayenne! This has to be one of my favorites! Any kind of mustard-y dressing makes me happy. I love the little kick that it adds. It is just faint enough that it isn’t too strong and leaves you wondering what made it different. And your compliment means the world coming from you – you photography queen, you!!! My family are big fans of honey mustard so I will have to try this soon. 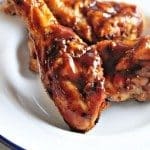 I love your additions to the recipe, and I noticed in the comments that you can use either Dijon or yellow mustard which changes it too. Your photos are beautiful too. Oh Robyn, look at that color! I enjoy honey mustard, but it’s tough to find a good one sometimes. I have to make my own! Thank you Robyn. My favourite dressing/dip. Have a good week. I love making my own dressings 🙂 I try and make some fresh each week. This recipe looks yummy! This looks WONDERFUL. How long does it keep in the fridge? 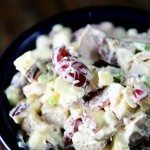 Have you tried it with the Greek Yogurt as well, or is mayo better? I found the cumin to be a bit powerful (maybe 1/4 tsp next time), but overall a delicious dressing. My husband loved it! How long does this keep in the fridge before going bad? Thanks!